With picture-perfect white sands, blue waters, palm trees, forests and mountains, Seychelles is a most extraordinary picture of paradise. With 115 granite and coral islands scattered in the Indian Ocean between 4 and 10 degrees south of the Equator, the Seychelles Archipelago remains a sanctuary for one of the rarest species on earth. At 750 million years old, these are the oldest granitic islands in the word. 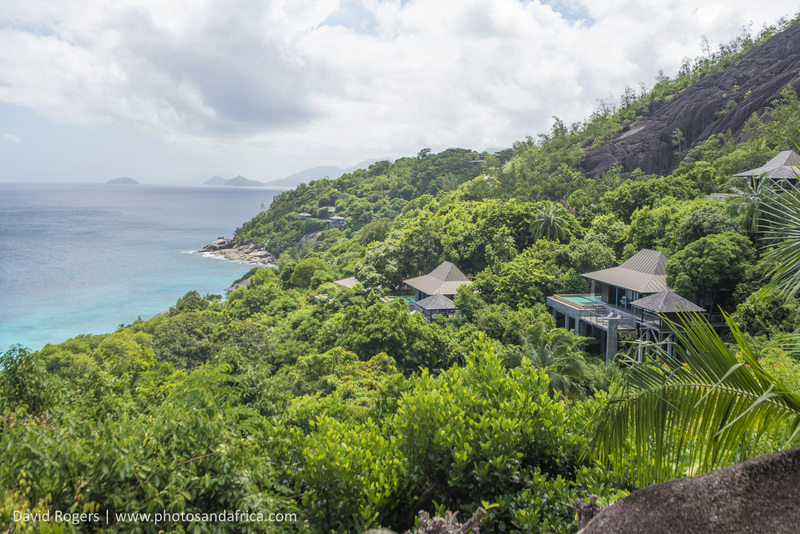 Seychelles is a world leader in sustainable tourism, having opted for financially strong tourism rather than mass tourism. 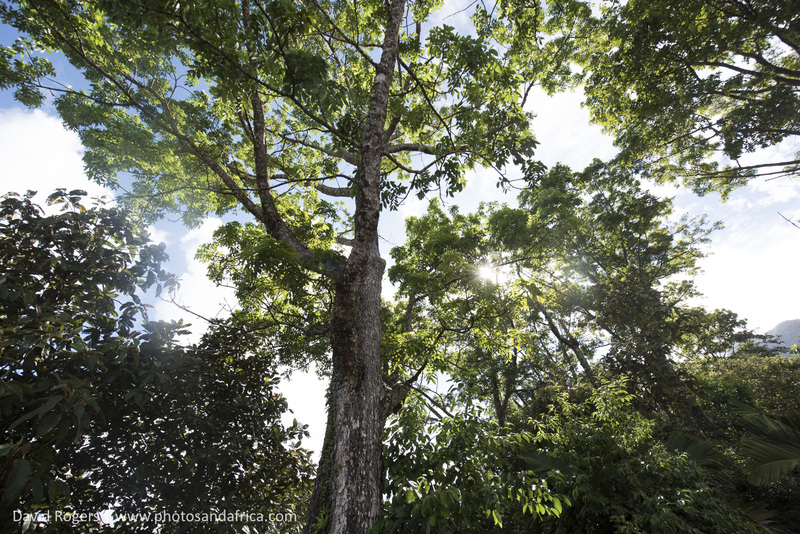 More than 50% of the country is conserved. Conservation is strictly enforced, and there is absolutely no litter anywhere. There are two categories of islands. The granitic “inner” islands of Mahe Praslin and La Digue with virgin forests and immaculate beaches are the cultural heart of the archipeglo. Then, the outer islands, which are flat coralline islands extend westwards. These include Desroche, offering a Robinson-Crusoe-type island experience. 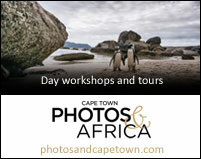 This fertile granite island has more than 65 beaches and a rich diversity of fauna and flora. The most populous area is Beau Vallon, which has hotels and guest houses. The southern parts of Mahe are quiet with some stunning beaches easily accessible by a tarred road. The town of Victoria is the capital with traditional architecture and a melting pot of markets, churches and places of worship. It’s a great island to explore with winding roads into the forests giving commanding island views. The international airport is on the island. A one-hour ride (15-minute flight) from Mahe takes you to Praslin, which includes the famous Vallee de Mai Unesco World Heritage site. It has 7 different types of palm including the famous Coco de Mer. It is here that Anse Lazio, widely regarded as one of the most beautiful beaches in the world, is found. 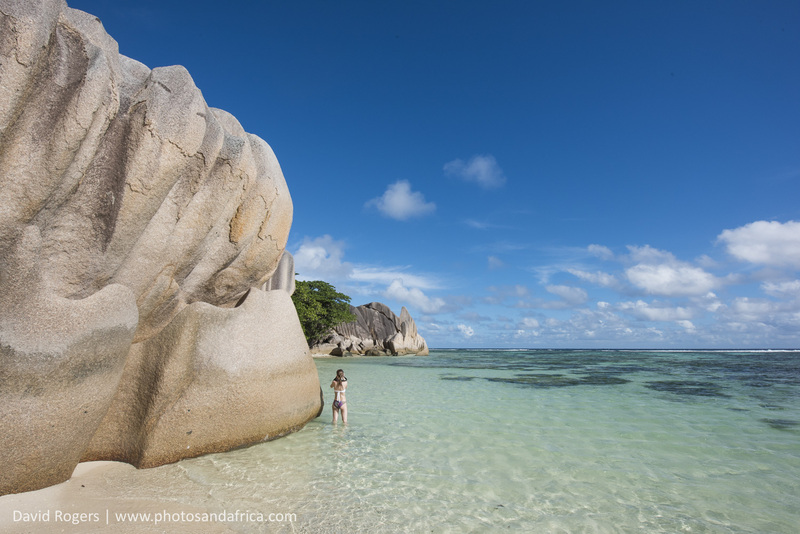 Lying 7 kilometres from Praslin is La Digue which has the breathtakingly beautiful Anse Source D’Argent beach peppered with spectacular granite boulders and secluded white beaches. People move around here by donkey carts and bicycles, giving the island a wonderful laid back feel. The outer islands such as Desroche, which is 240 kilometres from Mahe, offer some of the most pristine and private island experiences in the world. 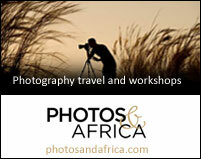 They are much sought after fishing, diving and holiday destinations. Denis Island and Fregate Island are also notable for their seclusion and private beaches. North Island has carved a name as the place for celebrities but is extremely understated. Aldbabra, which is probably the most pristine island in the Indian Ocean, is an atoll with extraordinary underwater life and is only visited by special charter and requires special permission. Like many islands, the Seychelles lost many species including large areas of forests, the saltwater crocodile, and the Seychelles parakeet. Many of the large Aldabra tortoises were also lost and these are now conserved in many areas. The rare Seychelles black parrot, the national bird, is now protected along with 11 other endemics including the Seychelles blue pigeon, the Seychelles fody, the Seychelles scops owl and many others. In the interior of the islands, the bright Madagascar fody (or ‘Red Cardinal fody’), Indian myna, and zebra dove (or ‘barred ground dove’) are the most commonly seen birds. Beautiful red-tailed and white-tailed tropicbirds, and dazzling white fairy terns are other spectacular species to look out for when birding in the Seychelles. Whimbrels, sandplovers, and unusually large flocks of crab plovers spend their whole non-breeding season on the islands. Bird Island is definitely the highlight for birdwatching in the Seychelles with its huge breeding colony of sooty terns. There are 75 endemic plant species including the famous Coco de mer which occurs only on the island of Praslin and Cuisine. It’s sometimes called the love nut because it resembles a human buttock it is the world’s heaviest seed. It’s protected, and poaching is an issue. More than 1000 species of fish occur, and Aldabra remains one of the most pristine places in the world. Like many islands, coral bleaching affects some areas, while others are much less affected. Vasco da Gama passed through here in 1502 but Arab traders, and pirates would have been visiting these islands even earlier than that, harvesting the famous coco de mer nuts and taking refuge in the quiet inlets. The islands were first appropriated and settled by France in the 18th century who later relinquished control to the British. After the abolition of slavery, the British Navy intercepted many Arab trading ships and brought African slaves to the island, and the characteristic Seychellois language developed. The Seychelles became an independent republic in 1976 and it was ruled by a socialist one party state from 1977 to 1993. The subsequent democratic elections were won by the same socialist party. In 1981 a South African named Mike Hoare accompanied by a group of more than 200 mercenaries attempted a coup, which was supposedly supported by the US. The Republic of Seychelles is an archipelago in the Indian Ocean, 1,500 km east of mainland Africa. Area: 459 sq. km / 177 sq. mi. 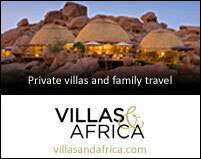 There are no visa requirements for the Seychelles but guests must show an onward ticket and proof of accommodation. The local currency is the Rupee, which is roughly on parity with the South African Rand. There are electronic banks to be found, and Master Card and Visa are widely accepted. Prices for food and drinks are on the high side, comparable to prices in European cities. English, French and Seychellois Creole are all spoken in Seychelles. The most widely spoken is Seychellois Creole, although many people understand English. Seychelles is a democracy ruled by an elected president. As the country has no indigenous population, the country is a mix of African, French, Indian, Chinese and other immigrants. The country still has a socialistic atmosphere – everyone gets an education, free health care and lives a simple yet comfortable life. The main income is fishing and tourism. Catholicism is the dominant religion, and the country is largely matriarchal. With a per-capita income of about $13000, it’s the most prosperous country in Africa and one of the most prestigious in the world. There have been large tourism investments in the past 10 years with the arrival of international hotel chains. If you have a boat you can go anywhere in the Seychelles as all beaches are public. It’s a good idea also to spend time island hopping by plane with the Air Seychelles domestic airline and there is also a very good ferry service. 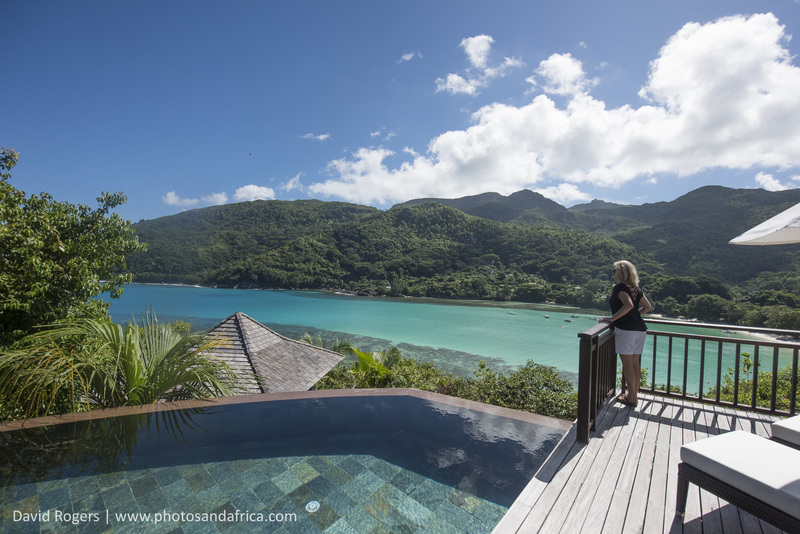 Emirates, Air Seychelles, Air Kenya and many other international airlines reach Seychelles. It is less than 3 hours from Nairobi and some 4 hours from Johannesburg and makes a great end of safari beach destination. There is no risk of Malaria or yellow fever in Seychelles although Yellow Fever Certificates are required from anyone visiting from affected areas. Consult your nearest travel clinic for up to date information. It is also advisable to know your blood group in case of an emergency. The temperature is between 24 and 32 degrees all year round. The period from May to September is the windiest, but it’s still very pleasant. Better boating conditions occur from March to April. The turtles lay their eggs and whale sharks are most commonly seen from November to March, which is the prime time to visit. In cities and some of the more upmarket camps, the dress code is generally very informal, but you may wish to bring along a shirt with a collar – even if it’s a golf shirt. Mobile and internet reception is widespread. It is likely to be slow internet compared to your home country. Also remember that browsing through local internet service providers is very expensive. We suggest you connect via wireless networks to avoid returning home to a big bill. 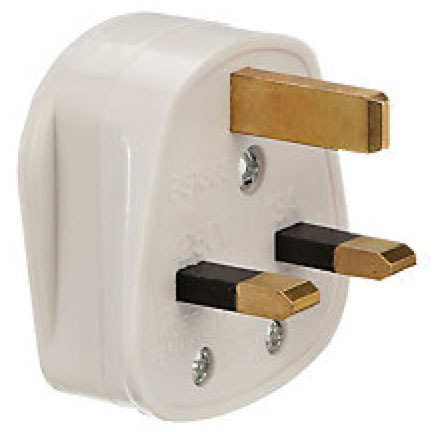 Please note that the plug points are three-flat pins (British standard) 220 volt. Most hotels and lodges have adaptors for the commonly used, round two-pin plugs.